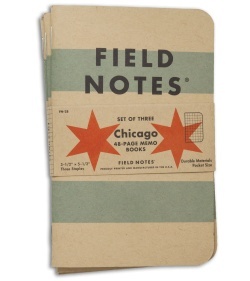 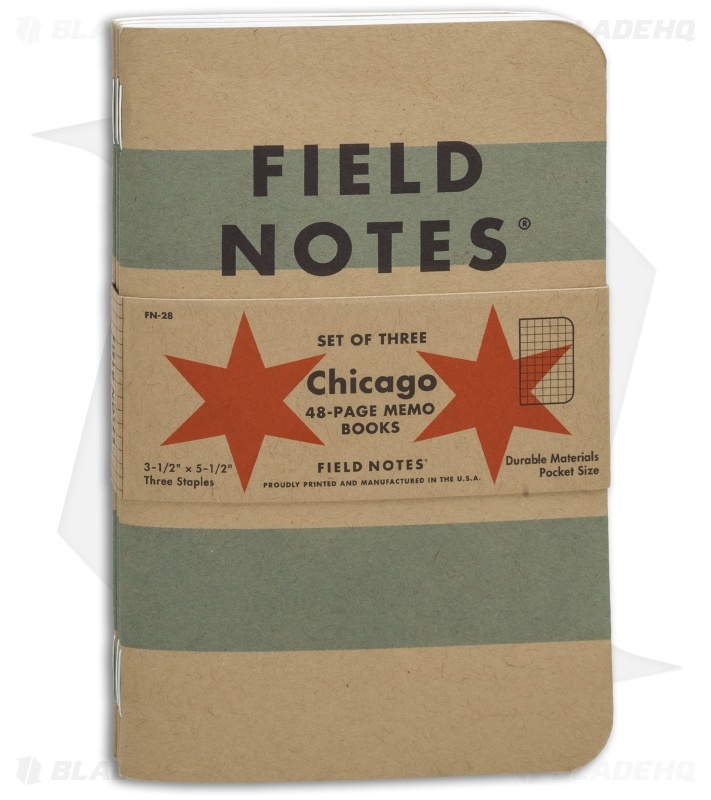 The Field Notes Chicago Edition celebrates the city where Field Notes Headquarters is located. 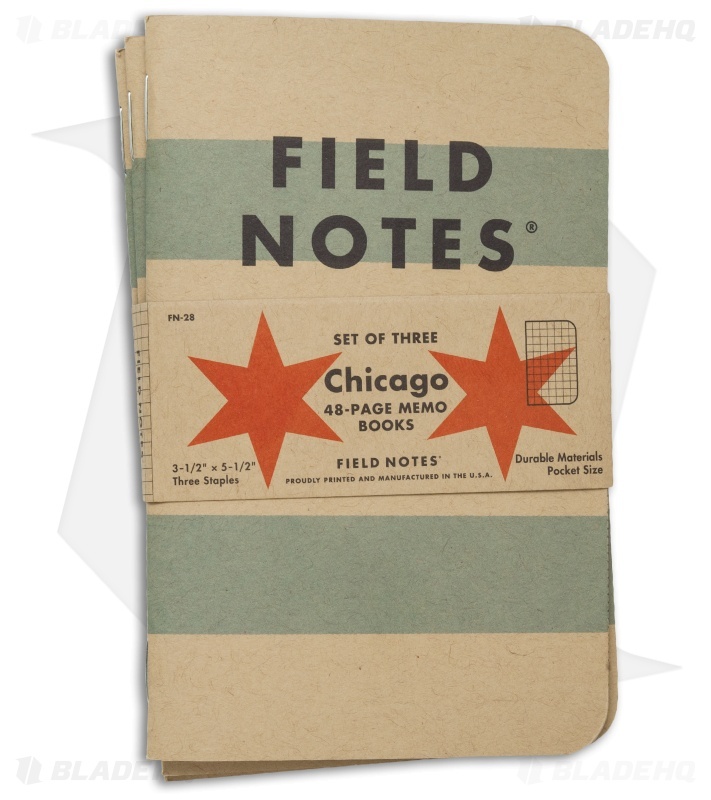 The brown notebooks proudly display the stars and stripes of Chicago's municipal flag. 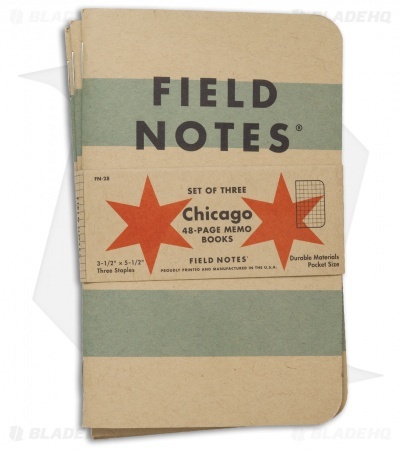 These memo books feature a rugged three-staple saddle-stitch binding, and 48-pages of "Bright White" graph paper. 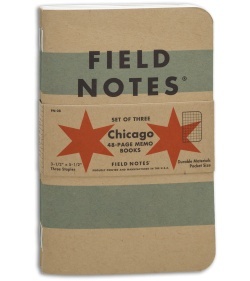 Inside you'll find a new set of Chicago-centric practical applications. 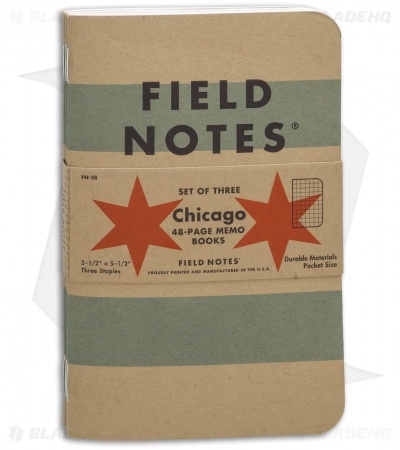 Proudly printed and manufactured in the USA.